I started reading a lot recently, mostly since I joined Planet Fitness and ride the stationery bike. It is so relaxing for me. I do about 45 minutes on the bike and just read. Work up a sweat, too! This is the first book I chose to read. The book can be divided into two parts...the island part and the post-rescue part. I love the island part. 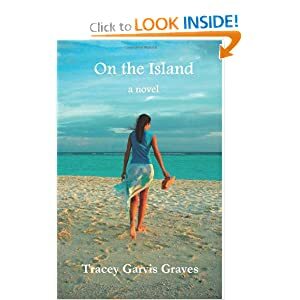 The heroine ends up stranded on a dessert island for three years with her teenage student. I love the characters, how they interact with eachother, how they manage to survive, how they end up depending on eachother and loving eachother. It all makes sense. The most interesting thing about the romance is that these two would NEVER, in a million years, be with eachother in the real world. Too big a difference in age and level of maturity. But on the island, they were the only two people in the world. All other factors did not matter. The couple get rescued, and the story continues on how the couple deals with going back to a normal life. I was not as happy with this part, but it was still a great read. The boy, TJ, is so much more mature than other twenty-year-olds, which makes sense because of all he had been through in his life. Anna has issues with being thirteen years older, noticing how young girls gape when they see him with her. I wish there was more attention paid to how they adjust to life in general after the island episode. Some things did not make sense....the lawsuit, why Anna couldn't get a job. But all in all, i liked it and I really cared what happened. THis is a first-time author. I look forward to reading her next book...I believe one is coming out in the fall.